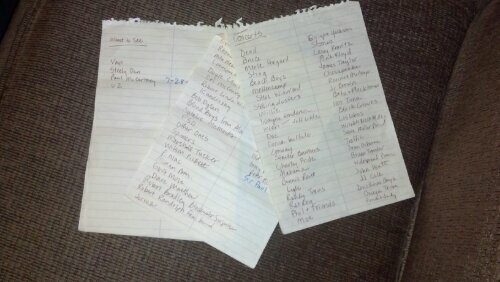 When we started the list of bands we have seen, we also created a surprisingly short Concert Bucket List. These are the musicians we’d love to see but haven’t yet managed to catch them. Let’s face it, Sir Elton John did come to Roanoke but that doesn’t happen every week. So much of our music requires travel, dedication and vacation days! It takes a commitment. Here’s the Bucket List. Bands, considered yourselves warned. We’re watching for you! Paul McCartney was on our list originally. We saw him on 7-28-10. What a great show!